This Kentucky auto accident occurred Tuesday on Ky 90 in Wayne County, Kentucky. Reports indicate that 25 year old Eric Branscum was driving a 2002 Kia Spectrum when his vehicle hit the rear of a 2003 Camry driven by Jessica Whitaker, age 28. Both vehicles were traveling eastbound. The collision between Branscum’s car and Whitaker’s car sent the Camry into the westbound lane of traffic where it collided with a 1992 Dodge caravan driven by Veila Stephenson, age 75. Branscum was not injured in the crash. Whitaker and Stephenson were seriously injured and flown to UK Hospital where they are being treated. A passenger in Stephenson’s Caravan, Gladys Parmley, age 69, of Monticello, had been taken from the scene of the accident to UK Hospital. Tragically she died from her injuries that evening. The passenger in the Camry, Louanna Ellis, age 57, was pronounced dead at the scene of the accident. 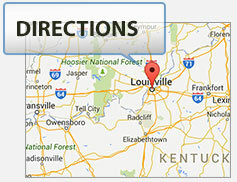 Jessica Whitaker and Veila Stephenson have Kentucky Personal Injury Legal Claims from this accident. These legal claims will empower these women to seek recovery of the financial losses and compensation for their injuries, including repayment of medical bills and expenses and payment for their pain & suffering. The families, via establishing a legal Estate, of Gladys Parmley and Louanna Ellis have Kentucky Wrongful Death Legal Claims. These claims will allow the families to seek civil justice for the loss of their loved one’s lives from this accident. Due to the number of vehicles involved in this accident and the severity of the injuries and the number of deaths, accident like this become complex legal matters and experience with insurance coverage and insurance companies is necessitated to ensure that the fullest amount of civil justice is afforded and recovered for the injured and the families of the deceased. Information about legal claims and the rights of persons injured or killed in Kentucky car crashes can be obtained from the Ackerson Law Office. A link to the website is (here).